Carbamazepine is an anticonvulsant. It works by decreasing nerve impulses that cause seizures and pain. 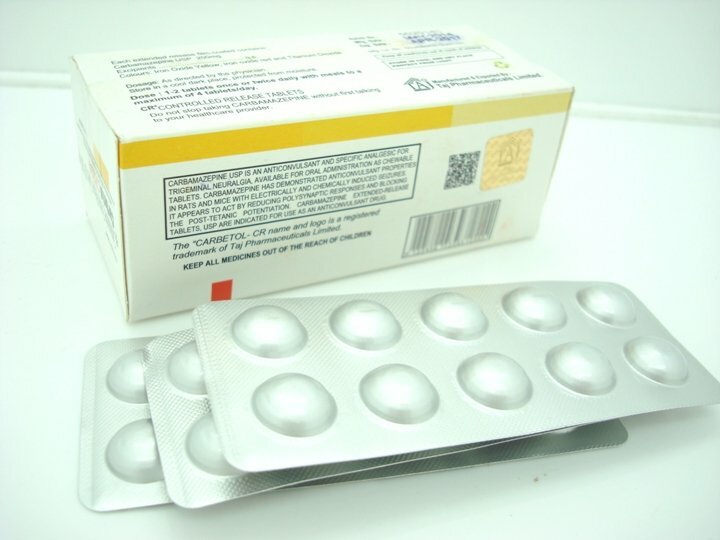 Carbamazepine is used to treat seizures and nerve pain such as trigeminal neuralgia and diabetic neuropathy. It is also used to treat bipolar disorder. This medicine comes with a Medication Guide. It is very important that you read and understand this information. Be sure to ask your doctor about anything you do not understand before taking this medicine. Carbamazepine should be taken with meals to lessen the chance of stomach upset (nausea and vomiting). Carbamazepine extended-release capsules do not need to be taken with meals unless they upset your stomach. The contents of the extended-release capsules may be sprinkled over a teaspoon of applesauce or other similar food. The capsule or its contents should not be crushed or chewed. The extended-release tablets must be swallowed whole and should not be crushed or chewed. Do not take extended-release tablets that are damaged or have chips or cracks. Grapefruit and grapefruit juice may increase the effects of this medicine by increasing the amount in the body. You should not eat grapefruit or drink grapefruit juice while you are taking this medicine. Carbamazepine is not an ordinary pain reliever. It should be used only when a doctor prescribes it for certain kinds of pain. Do not take carbamazepine for any other aches or pains. Do not take any other liquid medicines at the same time that you take your dose of Carbetol® without first checking with your doctor. Carbetol® tablets works differently than Carbetol® oral suspension, even at the same dose (number of milligrams). Do not switch from the tablets to the oral suspension unless your doctor tells you to. Carbetol® may be used alone or together with other seizure medicines. Ask your doctor first before taking any other seizure medicine together with Carbetol®. information includes only the average doses of this medicine. If your dose is different, do not change it unless your doctor tells you to do so. Adults—At first, 200 milligrams (mg) two times a day. Your doctor may adjust your dose if needed. However, the dose is usually not more than 1600 mg per day. Adults and teenagers—At first, 200 milligrams (mg) one or two times a day. Your doctor may adjust your dose if needed. However, the dose is usually not more than 1200 mg per day. Children younger than 12 years of age—Dose is based on body weight and must be determined by your doctor. However, the dose is usually not more than 1000 mg per day. Adults and teenagers—At first, 200 milligrams (mg) a day. Your doctor may adjust your dose if needed. However, the dose is usually not more than 1200 mg per day. Adults and teenagers—At first, 200 mg two times a day. Your doctor may adjust your dose if needed. However, the dose is usually not more than 1000 to 1600 mg per day. Children 6 to 12 years of age—At first, 100 mg two times a day. Your doctor may adjust your dose if needed. However, the dose is usually not more than 1000 mg per day. Adults and teenagers—At first, 100 milligrams (mg) two times a day. Your doctor may adjust your dose if needed. However, the dose is usually not more than 1200 mg per day. Adults and teenagers—100 milligrams (mg) or 1 teaspoon four times a day (400 mg per day). Your doctor may adjust your dose if needed. However, the dose is usually not more than 1000 to 1600 mg per day. Children 6 to 12 years of age—At first, 50 milligrams (mg) or one-half teaspoon four times a day (200 mg per day). Your doctor may adjust your dose if needed. However, the dose is usually not more than 1000 mg per day. Children younger than 6 years of age—Dose is based on body weight and will be determined by your doctor. The dose is 10 to 20 milligrams (mg) per kilogram (kg) of body weight per day, taken four times a day. Your doctor may adjust your dose if needed. However, the dose is usually not more than 35 mg per kg of body weight per day. Adults and teenagers—At first, 50 milligrams (mg) or one-half teaspoon four times a day (200 mg per day). Your doctor may adjust your dose if needed. However, the dose is usually not more than 1200 mg per day. Adults and teenagers—At first, 200 milligrams (mg) two times a day. Your doctor may adjust your dose if needed. However, the dose is usually not more than 1000 to 1600 mg per day. Children younger than 6 years of age—Dose is based on body weight and will be determined by your doctor. The dose is 10 to 20 milligrams (mg) per kilogram (kg) of body weight per day, taken two or three times a day. Your doctor may adjust your dose if needed. However, the dose is usually not more than 35 mg per kg of body weight per day. allergic to an antidepressant such as amitriptyline (Elavil, Vanatrip, Limbitrol), desipramine (Norpramin), imipramine (Tofranil), or nortriptyline (Pamelor). This medication may cause severe or life-threatening skin rash. Your doctor may recommend a blood test before you start the medication to determine your risk. Do not start or stop taking carbamazepine during pregnancy without your doctor’s advice. Carbamazepine may cause harm to an unborn baby, but having a seizure during pregnancy could harm both the mother and the baby. Tell your doctor right away if you become pregnant while taking carbamazepine for seizures. TELL YOUR DOCTOR ABOUT ALL OTHER MEDICINES YOU USE. Some drugs can raise or lower your blood levels of carbamazepine, which may cause side effects or make carbamazepine less effective. Carbamazepine can also affect blood levels of certain other drugs, making them less effective or increasing side effects. Do not use carbamazepine if you also take nefazodone, or if you have used an MAO inhibitor such as furazolidone (Furoxone), isocarboxazid (Marplan), phenelzine (Nardil), rasagiline (Azilect), selegiline (Eldepryl, Emsam, Zelapar), or tranylcypromine (Parnate) in the last 14 days. You should not take carbamazepine if you have a history of bone marrow suppression, or if you are allergic to carbamazepine or to an antidepressant such as amitriptyline (Elavil, Vanatrip, Limbitrol), desipramine (Norpramin), doxepin (Sinequan, Silenor), imipramine (Tofranil), or nortriptyline (Pamelor). a history of mental illness, psychosis, or suicidal thoughts or actions. You may have thoughts about suicide while taking carbamazepine. Tell your doctor if you have symptoms of depression or suicidal thoughts. Your family or other caregivers should also be alert to changes in your mood or symptoms. FDA pregnancy category D. Do not start or stop taking carbamazepine during pregnancy without your doctor’s advice. Carbamazepine may cause harm to an unborn baby, but having a seizure during pregnancy could harm both mother and baby. Tell your doctor right away if you become pregnant while taking carbamazepine for seizures. Carbamazepine (Oral Route); Drug information For Proper Use – Taj Dearob Pharma | Carbamazepine is an anticonvulsant. It works by decreasing nerve impulses that cause seizures and pain. 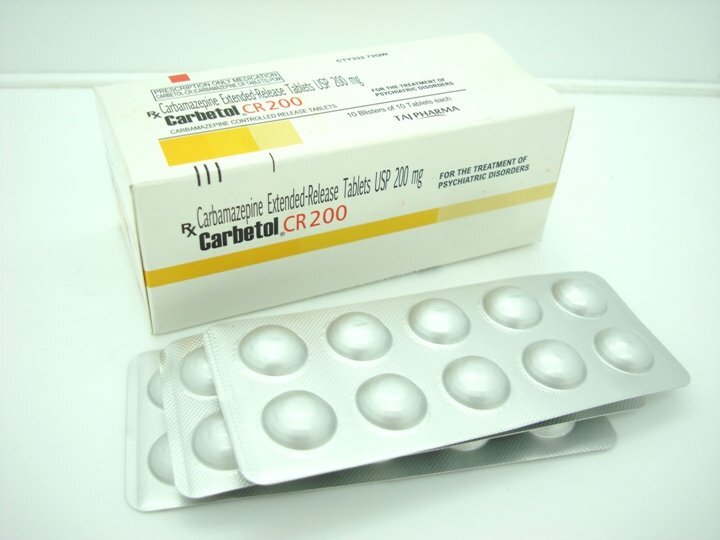 Carbamazepine is used to treat seizures and nerve pain such as trigeminal neuralgia and diabetic neuropathy. It is also used to treat bipolar disorder.